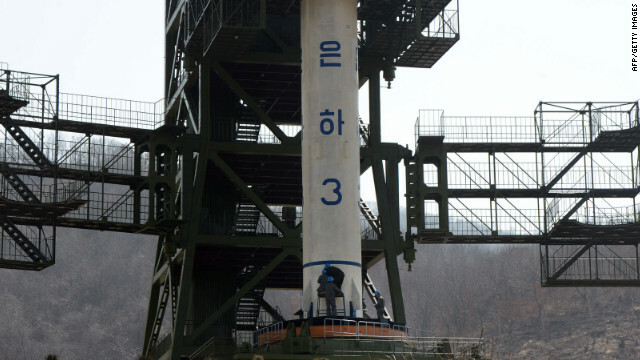 New details emerged Friday about the failed launch of the North Korean rocket. The rocket failed in the second stage of its flight, Pentagon spokesman George Little said Friday. A different U.S. official told Security Clearance that the rocket failure happened 81 seconds into the flight, based on preliminary U.S. analysis. The first stage successfully separated from the rocket before the failure, the U.S. official said. That first stage fell into the Yellow Sea approximately 165 kilometers (about 100 miles) west of Seoul, South Korea, according to a statement from U.S. Northern Command and North American Aerospace Defense Command. Based on the U.S. government information, it appears the first stage dropped "well east of the intended path," according to analyst David Wright from the Union of Concerned Scientists. The U.S. are analyzing "precisely what happened along the trajectory," Little told reporters at the Pentagon on Friday. i remember several hyundais that burnt up in the 80s.korea made those also.